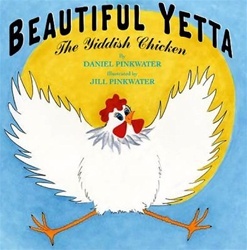 Comely and organic, Yetta the chicken seems destined for a Jewish family's Sabbath table. But Yetta is also brave and clever, and when the opportunity for escape comes her way, she grabs it. "She will not be soup. She will not be roasted chicken on a Friday night. She is free. She is in Brooklyn," writes Daniel Pinkwater, in solemn deadpan mode. The mean streets test Yetta's mettle, but her innate heroism and cat-chasing skills eventually win her a new life as den mother to Brooklyn's Spanish-speaking community of wild parrots ("Por favor, quédate con nosotros, gallina hermosa," coos one. "Please stay with us, beautiful chicken!"). Jill Pinkwater's illustrations don't have a lot of visual heft--Yetta's inner strength is never fully articulated and the compositions lack a strong focus. 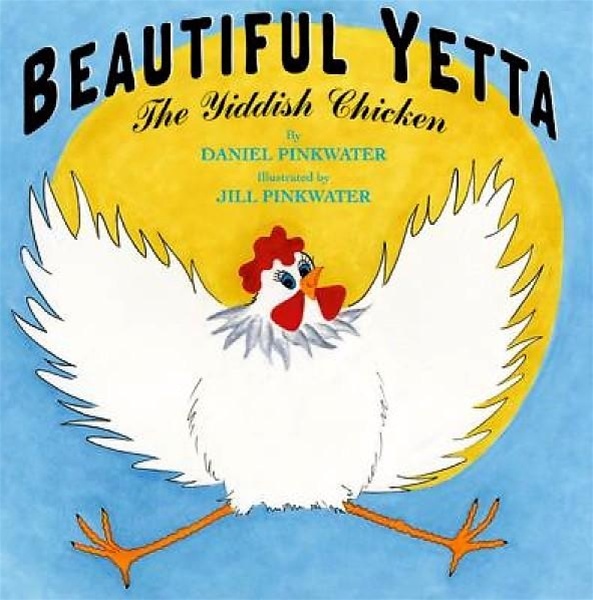 But there's still plenty of fun to be had, and the Pinkwaters are to be applauded for expanding readers' Yiddish lexicon beyond simple phrases like "Gevalt!" ("Oh, dear!") to such delicious constructions as "Gay ahvek, du fahrshtunkehneh kahtz! ("Go away, you stinky cat! ), which appear in English and Yiddish characters, along with pronunciations. Ages 3-7.